Idle Fancy: Tell Me About Your Sewing Machine! First off, thank you so much for the outpouring of support after the Project Sewn results were announced last week. Was I totally bummed for a second? Definitely. Reading all of your awesome comments and e-mails helped brighten things up, however. What's more, I spent a whole weekend in San Antonio, tagging along with my love to an academic conference, without my sewing machine or reliable internet access. Woohoo! A weekend without looming sewing deadlines came as such a relief. Your support throughout this last month has been overwhelming, y'all. Is there any better community than sewing bloggers? I think not. You're the best. Secondly, the amazingly talented finalists for our lovely season of Project Sewn are up with their outfits today! Go check out the gorgeous creations from Christie, Kelly, and Trine. Then, as ever, vote vote vote! 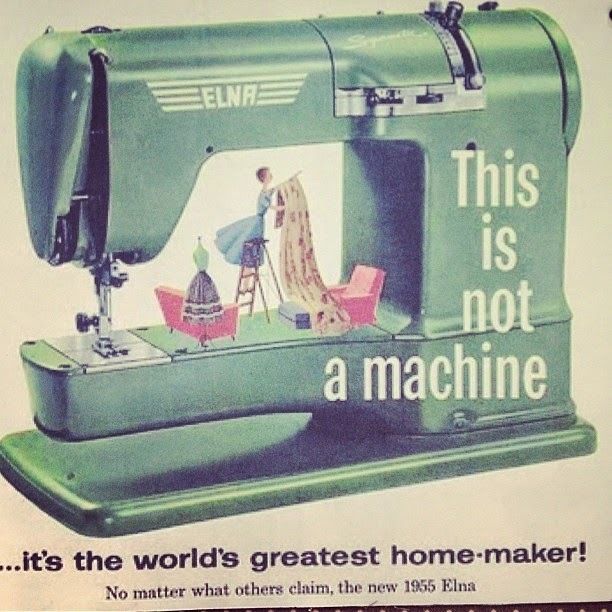 Third, we come to the topic of today's brief post: sewing machines. Namely, mine and the fact that it's going to die at any second. She's struggling with thick fabrics, she's breaking needles at an alarming pace, and her bobbins just don't wind as tight as they used to. Things go a little slack in one's dotage, you know. We've had a good run, but it's increasingly clear that she's longing for The Farm. Ergo, I need a new machine. Sturdy. I want to sew denim without thread catastrophes, kittens! Ability to stop stitching with the needle down. Unfortunately, that last one is extra-important. A Bernina, even a refurbished one, just isn't in my current price range. That will have to wait for a big book deal or magic lottery win! Instead, I'm eyeing some particularly interesting mid-range Janomes. I have zero idea which one to choose, despite reading all the reviews. Instead, I''m curious what went into your Big Decision. 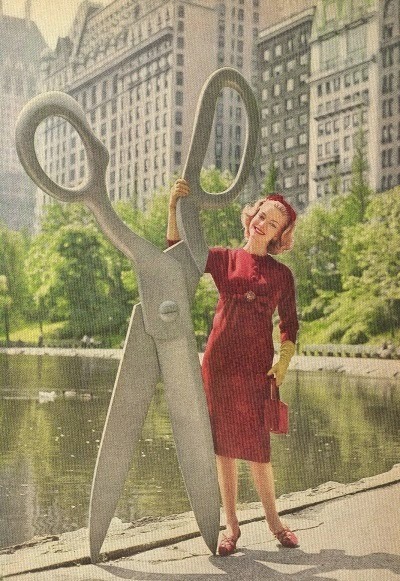 Tell me all your deepest sewing machine thoughts, friends! What kind do you have? Why do you love it with abandon or, conversely, daily curse it into the depths of Hades? What is your dream machine? Tell me all the nitty-gritty, dust-clogged details!